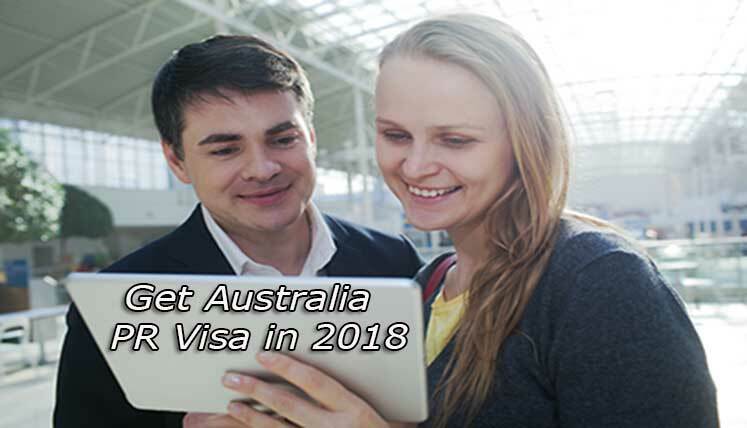 How easy or difficult to get Australia PR Visa in 2018 ? Overseas immigration has become common practice especially in developing countries, where skilled and talented professional don’t get the desired professional opportunities, living standards, quality of life, and infrastructure facilities, etc. Australia has been one among the key choice among the worldwide immigration aspirants. It’s not only an advanced nation but also a place that provide wonderful opportunities and environment for the people. Let’s find out how Australia immigration going to be in 2018. If you wish to get permanent residency in Australia in 2018, you must know as to how easy or complex it is going to be for you in view of current immigration situation across Australia and the world. Although, Australia has been a perfect immigration destination for year, however, it will interesting to see out how things have changed in last couple of years to impact Australian PR process. Also read-What will the Successful Australia Immigration Point Score in 2018 to get PR Visa? Most of these rule changes implemented in 2017 aimed at making Australia immigration smooth and controlling the number of immigrants in the country.These immigration rules can be termed stricter, but overall, such changes are not going to have a large impact on Australia’s immigration rate, especially, in view of ongoing skill shortage in the country. This rule change was one aspect of Australia immigration, however, there is another aspect also which confirms that number of professional opportunities will be higher this year in view of ongoing skill shortage in the country for several occupations. In 2018, industries and business companies in Australia shall create multiple professional opportunities for the foreign skilled professionals. Hence, Australia’s immigration rate is expected to be higher all through the year. The opportunities will be available in keysectors, i.e. IT, Engineering, healthcare, construction and mining, etc. Hence, if you are planning to apply for Australian PR visa, this year will be the ideal time for the same. Get Vital Assistance to apply for PR visa in Australia? If you want vital support, and assistance to apply for PR visa in Australia, Visas Avenue Immigration Experts and professionals can provide you essential immigration process assistance. It is a recognized and widely popular Visa and immigration Documentation consultancy firm in India. You may call Visa Avenue immigration expert on Toll-Free Number- 78-18-000-777. Alternatively, e-mail your queries to Visas Avenue e-mail id- info@visasavenue.com.